Let’s talk about induction of labor. It’s fairly common in the US to get to 39 weeks and be induced a week before your due date. Most care providers won’t or can’t induce before this point unless there is a medical need for baby to be born sooner rather than later. So let’s explore how we can help this situation. Things to consider: Do I really need to be induced? Babies tell their mom’s body that they are ready to be born. So by having an induction without a medical need you could be risking a baby who isn’t ready to breathe air just yet. What is the medical need? Lots of different situations may cause you to need to be induced. 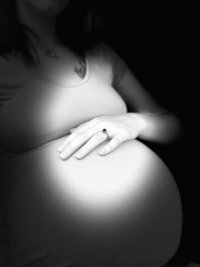 Pre-eclampsia is no joke and most providers take it seriously to help keep mom and baby safe. Maybe the care provider thinks baby is getting too big. But based on evidence and ACOG recommendations (read about them here, here, and here. )this is not always a good reason to induce because ultrasounds are very often wrong on estimated weights and often leads to unnecessary cesareans. Even going past your estimated due date is not a recommended reason to induce until you’ve gone to 41-42 weeks. Maybe you’ve weighed the risks and benefits and still want (or need) to be induced. Let’s help you have an easier and better birth with some tips! Know your cervix so you can know your options. Ask what your bishop score is at your last prenatal appointment. (You can calculate your score here.) This can help you talk through your options with your provider. There are a lot. Cervix ripeners – like Cervidil and Prepidil. Manual options – like a membrane sweep or a Foley balloon ( the foley is a GREAT option for all moms, including vbacs). There’s Pitocin of course to stimulation contractions and there is AROM – artificial rupture of membranes (breaking your water). Even though it may look a different, having a birth plan is still a great way to help the hospital staff know your needs/wants without you always having to tell them. There very well may come a point in labor that you cannot speak your wishes to them. So having it wrote down is perfect. Try to keep it to one page and bullet points. This makes it much easier for the staff to know exactly what you want. There is no reason to stay in the bed, even if your water is broken. Let gravity help you. Being up and walking/dancing/squatting is great at utilizing gravity. Using a birth ball or CUB also does this, while supporting you if you start to get tired. Even sitting straight up in bed is using gravity to help your body do it’s thing! Depending on your body, bishop score and chosen induction method – you may be looking at 2 or 3 days of an induction. Low and slow is not a bad thing when you are trying to jump start labor. Your body needs time to get the message. So don’t be discouraged if you don’t make progress right away. Most hospitals still say no eating during labor, but some are coming around to the American Society of Anesthesiologist recommendations of eating lightly during labor to keep energy up. (read that article here ) Don’t try to eat any steak and potato dinner during labor though, it likely would come back up later. Even though you are telling your body to do something before it might be ready, it will get the memo and start to do what it needs to do. Listen to your body and follow it’s lead. If you feel like you need to get up and move, then do it. If you feel like you need to lay down with a peanut ball between your legs, do it. If you feel like you need to sway your hips, sway those hips! This is how your body lets you know what needs to be done to help baby be born. Giving birth is instinctual, all you have to do is listen to your body. Does your care provider have a preference on how long they will attempt induction before calling it quits? What if pitocin doesn’t work and you aren’t in active labor, will they stop and let you rest for a while or even go home before trying again? At what points will the doctor recommend a cesarean birth for non-emergent reasons? When you know the answers to these questions and any others you might have, it helps you to be in control and make informed choices for your child’s birth. Don’t be afraid to speak up. Have a pain relief plan. An induction is often more intense than natural labor, simply because it is being forced. Preparing for labor pains before they start is an excellent idea. Consider types of pain relief you want to utilize. Physical comfort measures, hydrotherapy, IV narcotics, epidural? Take a childbirth education class and if available, a comfort measures class to help you and your partner learn ways to help alleviate pain and discomfort during labor. This one is pretty self explanatory. Make sure to have a birth team of those you choose that will be the most helpful and supportive during labor. Everyone that is at your birth is an intervention, so you want them to be helpful. Your uncle sitting across the room playing on his phone means well, but he isn’t helping and actually could hinder your progress by making you feel watched or embarrassed to make noise or move around like you should. Don’t feel bad to say that only a select few are going to be with you during labor(or if you want everyone, that is ok too!) 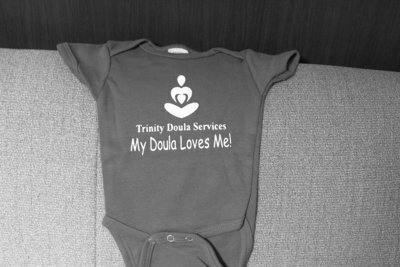 Consider having a doula there to support you during labor as well, we have lots of tips and tricks to help your body get into the rhythm of labor and reduce your risk of more interventions and cesareans too. Your baby is coming soon! « What to pack in your hospital birth bag.